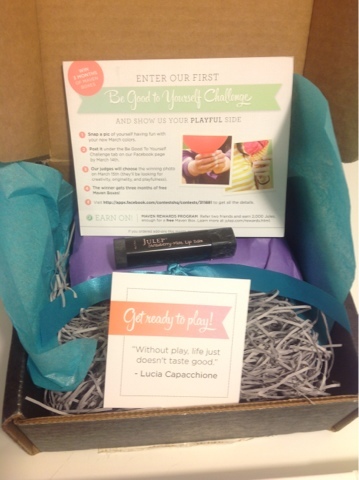 It's time for my March Maven Box: It Girl, of course. I was excited to get these pastels, mostly because I don't have many coral colors. My box included Simone, Shenae, and Teri, plus a strawberry mint lip balm. Before I move onto the swatches and review, I will mention that the lip balm smells delicious! When I went to put it on, it was a little TO slick for my liking. My lips were slipping and sliding away! I'll be using this sparingly. Look how beautiful these colors are! So, first up is Teri, the coral color. It's such a creamy polish, but maybe TOO creamy? I'm sure this could be a one coater, but I used 2 because that's what I'm used to. Overlal, I love the color but I didn't like that it didn't "settle" like some other creamy polishes I have. I guess I'll just have to go thinner and maybe try the one coat. Next up is Shenae. 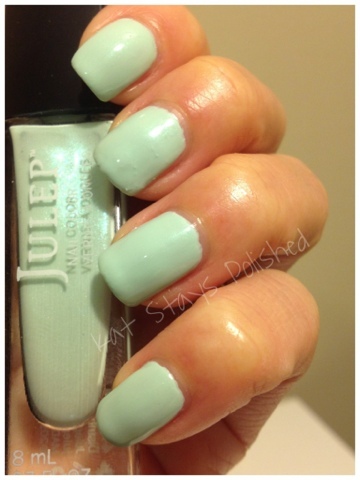 It's a minty green polish with an opalescent shimmer. It's hard to see the shimmer on the actual nail, but just take a look at the bottle. This formula was a little better and I used 2 coats for these pictures. 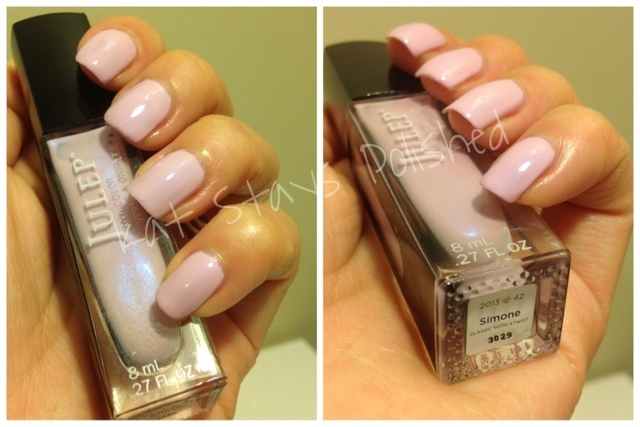 I'm going to do a comparison post soon because I have another polish that I thought was JUST like this. Last is Simone. A pastel purple with a similar shimmer to Shenae. In the pictures it looks pink, but I can assure you, it's a lovely purple. I'll also be doing a comparison of this one and another polish I have. What do you think? Are you an It Girl? Are you even a Maven?